At the end of 2017, the company introduced Kingwear sport Kingwear FS08 Smartwatch. As for me, today it is one of the best watches in the arsenal of this manufacturer. 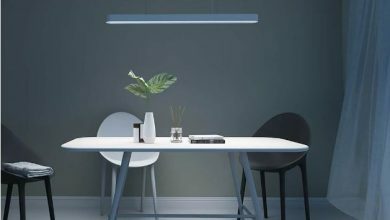 First of all, they are interesting by the presence of an energy-saving mode, which was obtained using a transflective screen. 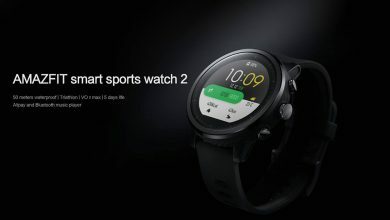 Huami has applied the same technology in its Amazfit BIP, Amazfit Pace and Amazfit Smartwatch. Kingwear FS08 smartwatch is a godsend for fans of an active lifestyle and those who prefer sports style and smart gadgets. The market of smartwatches is huge: the taste and color in hundreds of different brands stores, modifications of these devices, endowed with various functions, differing both in performance, appearance, and price. Does FS08 stand out from the crowd, or is it just another consumer goods advertised from scratch and not worthy of attention? We will understand in the article below. Contrary to my expectations, the Kingwear FS08 watch arrived in an inconspicuous simple box, where the face of the watch is viewed from the front. When you pull out the inside, you can see the advantages of the gadget and the device itself on a soft backing. The package bundle is standard and includes, in addition to the charging wire, a pleasant bonus in the form of a spare protective film on display. The smartwatch is equipped with a metal-plastic case. It comes in a diameter of 49 mm with fastening screws on the front side and a touch screen. The dial of touch screen is delimited by second divisions around the perimeter. The display brightness is sufficient, with the ability to adjust through the settings menu, and the user’s choice presents three variations of electronic dials. These deals can be changed by a single click on the active display. On the sides of the smartwatch are located the control buttons. On the left, you can also notice a hole inside which an additional “Reset” button is hidden. Behind the sensor is located. It reads information about the heartbeat, pulse, and a magnetic platform with a contact base for connecting the charger. There was an unpleasant incident: when connected, charging refused to feed the clock. I tried to clean the contacts, changed the adapters, but nothing happened. As a result, by chance, I noticed that if you press the charger strongly against the contact pad of the watch, the function is activated. Without thinking twice, I put the clock with the connected charging under an improvised press, and the spring-loaded antennae of the contacts, apparently, corrected their position – the problem was solved! Now the device is charging without problems and weighting. The strap is very easy to remove. To do this, studs are provided on the inside, by moving them to the side, you can freely pull the fasteners out of the grooves, replacing the strap with another. As for himself, he is very comfortable. The smartwatch as a large number of divisions for placement on the wrists of different thicknesses, two bakes, and a metal buckle. I got a black and red version for review, but there is also a gray one. 1. The right button activates the display. 2. Swipe to the right on display allows you to view notifications. 3. Swipe to the left – displays the menu of active modes and the transition to the settings menu. 4. Swipe up / down – allows you to view the number of steps, the distance traveled, activate the compass, use the stopwatch, view the altitude at which you are about sea level, measure heart rate and view information about sleep. It is worth noting that some functions have extended statistics, for example, by day of the week. 5. Pressing the display – confirmation of the choice (in case the device is set up) or changing the dial. 6. Holding down the left button for a few seconds activates the GPS tracking function, and subsequent swipes right / up / down provide information about the route and its duration. Swipe to the left three times – displays in the menu exit mode. The very first difficulties to be encountered are registration and authorization. Finally I used authorization through Google account and managed to authenticate. In the application in the “Personal Center” branch, you can edit information about yourself, upload a photo, see the time of the first pairing and set a goal step by step. There are also frequently asked questions and answers in Chinese, the function of inviting friends, a feedback button and the ability to check for updates with the beautiful name “On”. The branch, the logo of which is the silhouette of the watch, is responsible for breaking the connection / binding between the smartphone / tablet and the watch with the connection indication in the form of red and green circles. If the devices are paired, then the “Reminder notification” notification settings section becomes available, where you can customize applications by moving the sliders.Regarding notifications, I can say that when I pair with Huawei Honor 7, I don’t receive notifications from Viber at all. I notice that this is not the first Chinese smart watch, where they forget about setting up incoming notifications from a popular messenger, and this is sad. Information about incoming calls, SMS, messages with WhatsApp is coming, but with a slight delay. Displays the name of the caller / writer and text. The branch with the image of the chart displays the data obtained by synchronizing KingWear FS08 and your gadget, about the number of steps, pulse, sleep, distance traveled, the distance that you covered during your run / cycle ride or etc. You can update the data if you press your finger to the screen and hold it from the top to the bottom, provided that the devices are paired. Want more details? No problem! Click on the parameter of interest, and the application displays its detailed display. And one more thing, the branch represented by the target logo – when the Internet connection is turned on. It indicates your approximate location, and I want to say it does it very accurately! Speaking about the functions of the device, it is worth noting such as a compass, altimeter and GPS-tracking of the covered distances with the construction of a route map (sports modes: walking, driving, running). These are probably the most interesting and not so common options. But if everything is clear with the first two, then it is worth telling about tracking in more detail. It is activated if you hold down the left button on the watch case or swipe left and select walking / running / driving, after which the system notifies that the battery consumption will increase and, after consent, the interface will be displayed, in which the movement time counter will be specified in mode, speed, calories, distance traveled, pulse and heartbeat. In addition, if you hold your finger across the screen to the right, the route will be shown, and if you continue to hold your finger down, you will also see a graph of heartbeat, distance traveled and elapsed time, as well as calories. That is, it is a kind of customization. Decided to finish the measurement? Swipe right again and deactivate the mode, confirming the choice by clicking on the check mark. Note: The heart rate monitor is activated automatically when you select one of the sport modes and writes a log for the day and the week. The remaining functions are clear and do not require detailed consideration. Pedometer, calorie counter, sleep monitoring, heart rate meter, stopwatch – options that are in almost any smartwatch and fitness trackers. It would be nice to add a pressure gauge here, but the manufacturer doesn’t need this function. Now go through the settings menu. Swipe right and click on the button with the squares. There is a “Remote notification tool” where are displayed the notifications. When the LinkTo application is open, you can activate the taking a photo option on a smartphone with the “Remote shooting” option. Moreover, you can configure the “Sedentary reminder” option. It notifies you if you are without movement for a particular time. In the “Settings” section you can set the time format and also synchronize the smartwatch with the smartphone. 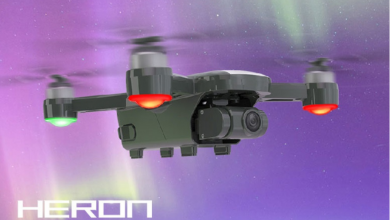 For instance, vibrate on/off when notifications are received, adjust the screen timeout and brightness level, select the interface language, activate the wake-up mode by turning the wrist, reset the settings, turn off the screen and display device. You can configure the “Alarm clock” option too for setting the alarm clock. The function of selecting several days of the week takes place. When triggered at the set time, the clock beeps and vibrates quite strongly. There is a simple “Calendar” option, where the week starts on Sunday. When there is no phone at hand, and you need to make calculations quickly, then “Calculator” option will be helpful for you. In addition to the stated functions, the manufacturer supplied the Kingwear FS08 with an IP68 waterproof standard. I lowered the clock for 10 hours in a three-liter jar of water and took a shower in them – the tests were crowned with success, the gadget is still working properly. 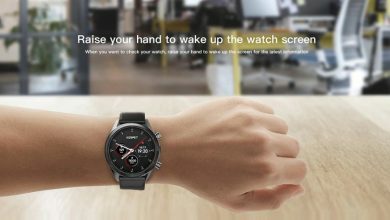 Despite the fact that Kingwear is not a mega-popular company, unlike, for example, from Xiaomi or Huawei, whose smartwatches are bought up like hot cakes and show themselves to be excellent companions in everyday routine, but they can, if desired, be wedged into the market segment and win its a fair share. In order for potential buyers to pay more attention to the company’s products, employees need to optimize the raw application as soon as possible to pair the gadget with smartphones, and add a list of customizable WORKING notifications to receive them from Viber. In addition, do not forget about the components: the trouble with charging – should be reduced to zero. As a final critical moment, even a rather urgent request is the implementation in future versions of the software of player control and call rejection functions, as well as timely delivery of notifications to the device. If you close your eyes to these shortcomings and carefully consider all the available functions, try them out at work, adding a high-quality assembly and good autonomy, then you can forgive all the flaws in the clock. During active use, I just fell in love with Kingwear FS08! On the hand, they sit perfectly, the strap is soft, does not cut the hand, the screen does not spend energy in vain, going into standby mode, and all functions work with reputable feedback. I hope that in the future more dials will be added, it will be very nice if customization moves beyond 3 standard ones. They are definitely worth their money!